Are you experiencing serious back pain, or other symptoms from an injury? Expert, practical care is available at Sandalwood Chiropractic & Wellness Centre, your trusted Brampton chiropractor. Whether you’ve been a recent victim of an automobile accident or are part of a family with a history of back-related problems, our highly-trained staff is ready to help in any way we can. Serving Brampton for over 30 years with caring and experience, Sandalwood Chiropractic & Wellness Centre offers diversified techniques for pain management. 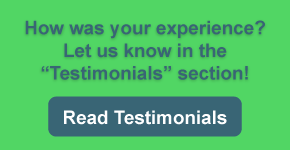 We will take as much time as needed to relieve your pain and ensure follow-up care. We carry orthopaedic neck pillows with memory foam and offer gentle chiropractic treatment, as well as therapeutic ultrasound treatments; neck and lower back decompression (traction); custom foot orthotics and shoes; and spinal rehabilitation. 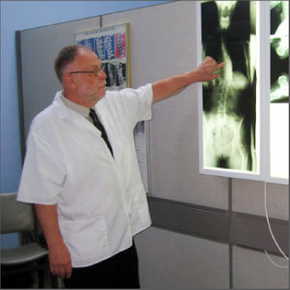 Established in 1983, our doctors have 56 years of combined clinical experience and have treated approximately 20,000 patients. Sandalwood Chiropractic & Wellness Centre offers diagnostic and prescriptive services for custom-made biomechanical foot orthotics and custom shoes, providing physiotherapy equipment and X-ray facilities on site for our patients. We provide gentle chiropractic treatment for relief of pain to all muscles and joints. Dr. Michele Ellis: B.Sc., R.T., D.C.
Past supervisor for private laboratories and Toronto’s Sick Children’s Hospital. Special interest in the chiropractic treatment of headaches and neck disorders and maintains a large practice focusing on the treatment of motor vehicle accident injuries. Dr. Jack Ellis: B.A., M.Sc., D.C., D.A.B.D.A., C.C.R.D. Industrial consultant offering numerous services, including: disability, pre-employment examinations, and cost-saving interventions for the Workplace Safety and Insurance Board (WSIB). Senior Analyst and Diplomat of the American Board of Disability Analysts. 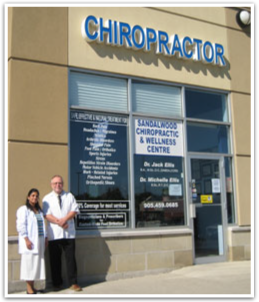 Sandalwood Chiropractic is located at the corner of Sandalwood Parkway and Conestoga Drive. You'll find us directly across from the TD Bank, right next to Baskin Robbins and Klip Cuts. Plenty of free parking is available!